With a passion for weddings and event planning, our goal is to provide you with a torch of the very good taste of opulence for all events that you request. Giving you the best from coordinating, planning and management your events from the very start to the very end. We do this to make the planing process for you fun, easy and relaxing, while you seat back and enjoy your special day with a radiate face full of smiles. 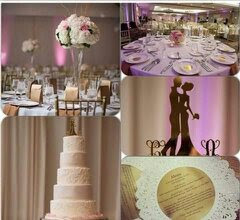 *The Wedding Glow Resource Center with VIP membership to give the tools and expertise necessary for planing your event. * The Wedding Vendor Guide, we introduce you to some of the best wedding vendors that suits your events. You are given the opportunity to interview and see in action their quality services. * You can follow our Educational Newsletter with current tips and trends on the blog. Brides: Sign up to receive our monthly newsletter!